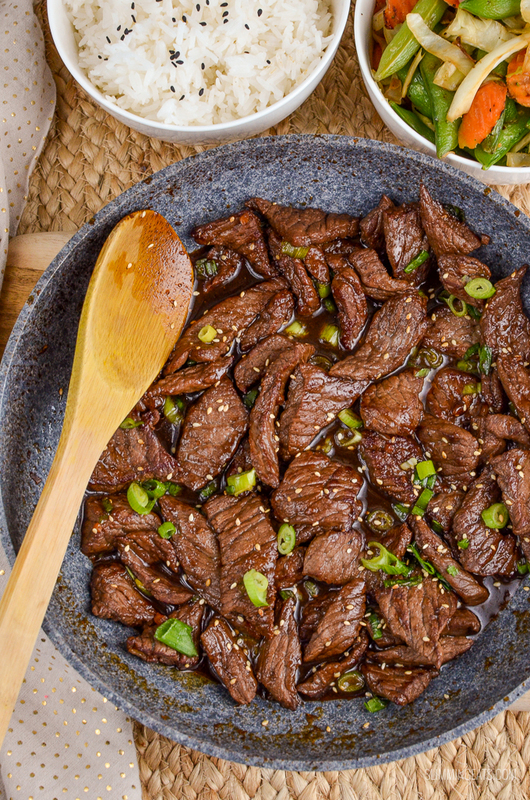 Tender strips of beef in a delicious sauce make this Beef Teriyaki the ultimate low syn meal when served with some rice and stir fried veg. 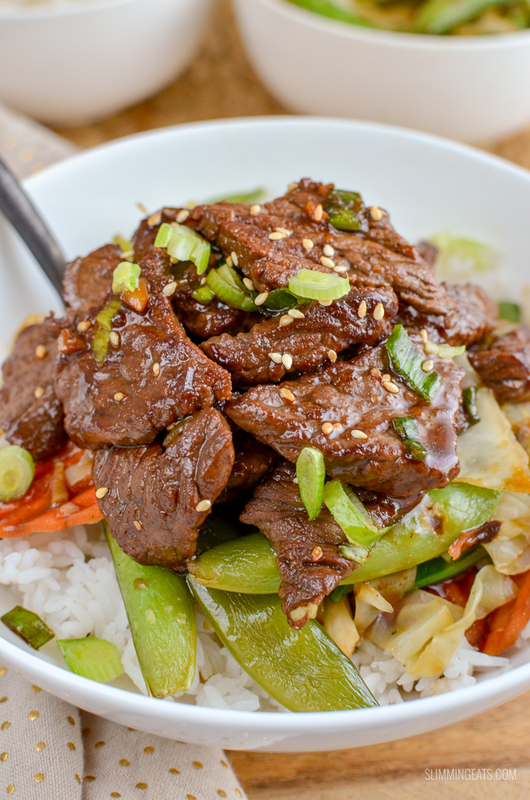 I love beef teriyaki, fast fried tender strips of beef, with a delicious sweet soy sauce. 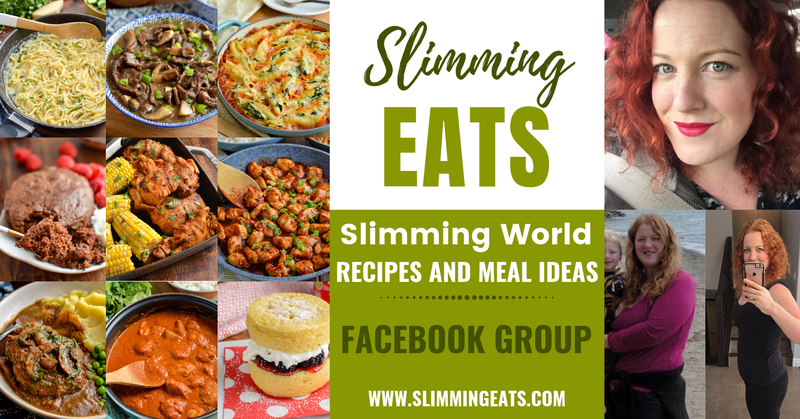 The traditional sauce for teriyaki usually consists of quite a bit of sugar, soy sauce, mirin and sake, to make a thick syrupy sauce, but on Slimming World that works out too high in syns. But you can make a lighter style sauce, that tastes just as good and really helps satisfy the cravings for this amazing dish. For my Beef Teriyaki, I use a combination of soy sauce (or coconut aminos works well too for a soy free alternative), brown sugar or honey for the sweetness, a little water (as I don’t like it too salty), ginger, garlic, sesame oil and then spring onions and sesame seeds to garnish. I always serve with steamed white jasmine rice and stir fried veggies (usually a bag of stir mix, that I quickly stir fry up in a wok). It is a combination of broccoli, broccoli stalks and carrots and a really lovely mix to use for the vegetables for this dish. Any kind of stir fry mix of choice is going to work. The main part is to get that tender beef and sauce. Beef or Chicken Teriyaki is one of my favourite dishes to order at the mall, as it usually comes with steamed rice and some plain stir-fried veggies and I can watch them cook it right in front of me. The beef is very quickly seared on a hot plate before adding that amazing sauce and they always ask if you want extra sauce before ladling it on, so if you want to be good, you can opt to just have the little amount they add when cooking instead. I try to recreate exactly how they cook it in this recipe, but of course with my own ingredients. Where I know exactly what has gone into it and I can control the syns. 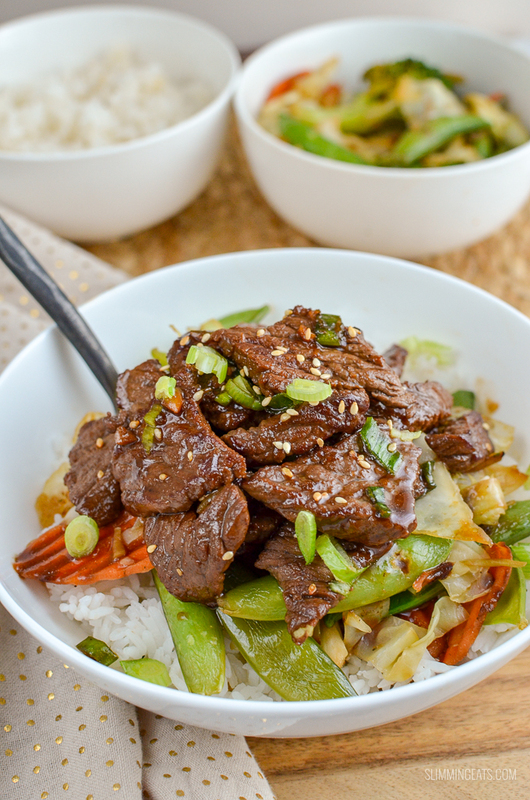 This Beef Teriyaki is a super quick dish to make, so often one I turn to when I need to put together a meal quickly. Plus my kids love its simplicity, so it is a perfect meal for me to make for the whole family. If you are doing an original or SP day or following a paleo diet this is delicious served with this Roasted Cauliflower rice or spiral up some rutabaga or butternut squash, pan fry in a little spray oil for about 5 mins and you have a perfect substitute for noodles and of course they are a speed food too. 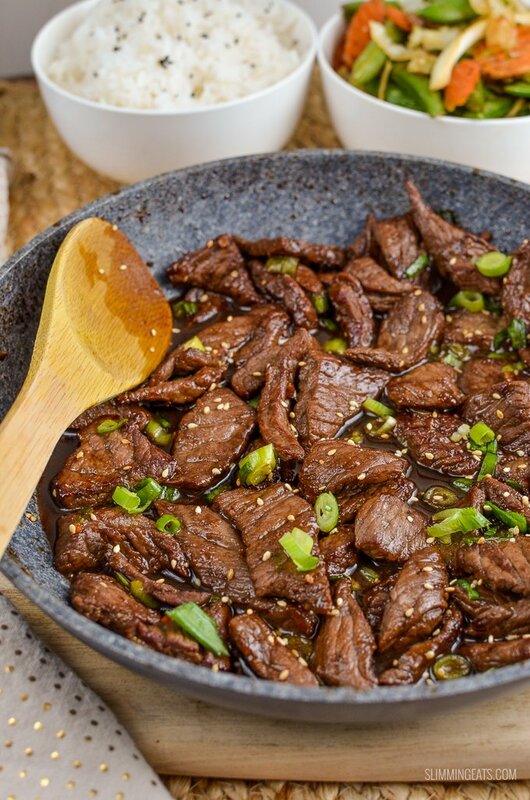 WHAT KITCHEN ITEMS DO I NEED TO MAKE THIS TERIYAKI BEEF? 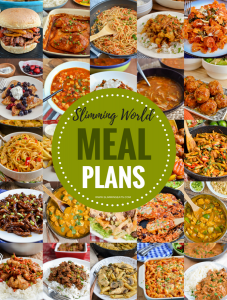 This recipe is gluten free, dairy free, paleo, Slimming World and Weight Watcher friendlyExtra Easy - 2SP/Original - 2WW Smart Points - 5Gluten Free - use coconut aminos or gluten free soy saucePaleo - use coconut aminos and serve with cauliflower rice. 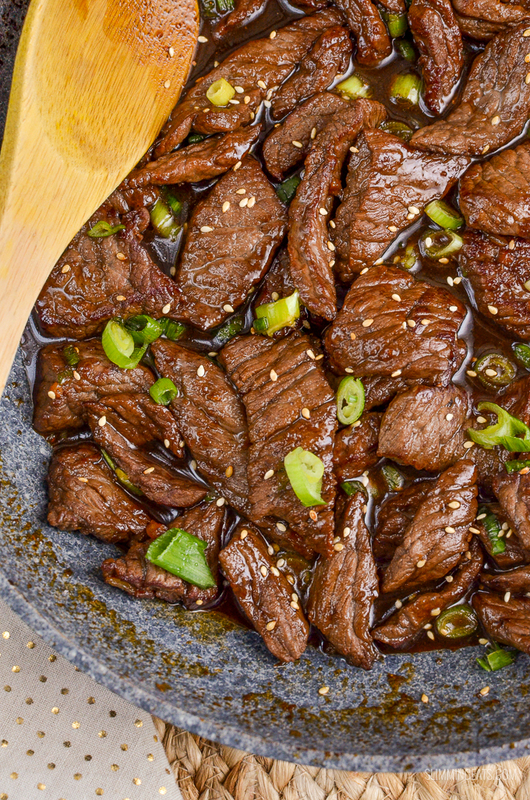 Place the beef strips in a bowl and spray with spray oil, to coat well. Heat a wok over a medium high heat. Add the sauce to the wok and heat until it reduces down and thickens a little. Add the beef strips back into the wok with the sauce and fry for a further 2 mins just to coat the beef in the sauce. Sprinkle with finely sliced spring onions and a teeny sprinkle of sesame seeds. I just add a tiny pinch of sesame seeds so the syns are negligible in 1 serving, Don't got overboard!! Want this to serve more? Just double up the ingredients. Ingredients can vary greatly from brand to brand and therefore it would be impossible to give accurate information. Also, double check syn values of sinned ingredients as different brands can vary.